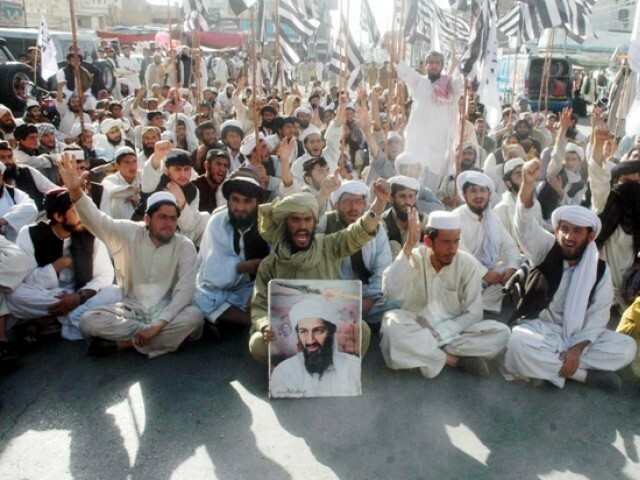 Some supporters of Osama came out on the streets of Quetta to pay homage to their hero, Osama bin Laden. Raising Anti America slogan, burning American flags and chanting death to America. According to a news report by The Express Tribune, these participants belonged to a religious party in Quetta which is the capital of southwestern province Baluchistan. the protest was led by federal lawmaker Maulawi Asmatullah. The protest was peaceful where thousands of supporters sat on the road with a photo of Osama. It was the first rally in Pakistan and anywhere in the world, where thousands of supporters gathered to pay homage in respect of Osama who is considered as the world’s deadliest man. Asmatullah misquoted Osama as the hero of the muslim world. Whereas the truth is that 100% of the Muslims in India and near 99.99% Muslims in the other nations hated Osama Bin Laden who has only brought a bad name to the religion.